I always knew I wanted a third baby or at least I thought I did. My husband was perfectly happy with our two beautiful, healthy daughters but he never completely ruled out the idea. We decided after we got married, we would try ONE more time. And surprise, we immediately got pregnant with our third daughter, who was born June 4th. When I was pregnant, I honestly thought all we needed to prepare for her arrival was a crib, travel system, and have diapers. Boy was I wrong, the more time went on I started to question if we were really prepared. So how exactly do you prepare for it all? It's not easy but I want to share a few tips, that helped me this time around and hopefully they can help you too. The first thing I thought about when I was pregnant, was feeding, and of course, as I recently discussed I knew I would breastfeed, but sometimes things don't go as planned and it's great to have a plan B, which is where Enfamil Family Beginnings® comes into place. It's a GREAT program, especially if you are unsure of your feeding plan, if you have a newborn and are thinking of supplementing with formula or if you're struggling with breastfeeding, like I was. Enfamil Family Beginnings® offers so much, like formula coupons/samples, nutrition tips for Mom and Baby, and so much more. Their Welcome Kit is really amazing! And right now you can win free formula for a year*! How awesome would that be?! Enter here! This promotion won't last forever so make sure you sign up now! One of my favorite benefits Enfamil Family Beginnings® offers, is peace of mind. All of my questions can be answered in one place, how awesome is that?. I can look up things during my pregnancy like nutrition and workouts. I can even look up things after my pregnancy like help with sleeping! They also offer newborn, infant and toddler help. Which really puts my mind at ease. Plus, they talk about breastfeeding, formula feeding and supplementing! It's my kind of community, that's for sure. And right now, like I mentioned previously, Enfamil Family Beginnings® is running an INCREDIBLE sweepstakes. You can win "FREE" FORMULA FOR A YEAR!!! Be sure to Enter here. 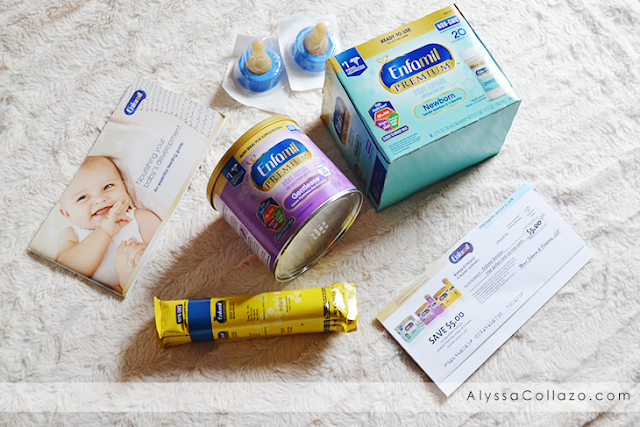 Stocking up on baby essentials like diapers, wipes and clothes is a MUST! I remember after my baby shower having her entire closet stocked with diapers ranging from a size NB - 3 and clothing, especially onesies from a size NB - 6 months. And even after I found myself purchasing more and more. It was such a great decision because really, you can never be to prepared. With my husband working and having our family vehicle, I don't have to worry about running out of diapers and not being able to go to the store for more. Plus, no one wants to leave the house with a newborn baby in the middle of fall/winter! Which is why I personally recommend stocking up. You won't regret it! Having two daughters and planning for the birth of our third daughter wasn't the easiest. We had to make sure we had a lot in place because let's face it, life goes on. And my daughters have their own hobbies we wanted them to continue, plus school. Not only did we have a birth plan, we had a daughter plan! Babysitter, ways to and from school/dance, dance recital, field trips, etc. And, I am so thankful for the daughter plan. I was able to have a stress-free birth and know everything was taken care of. I'll admit it, I could go on and on about preparing for a baby. But these 3 tips are what helped me the most. I had a great birth and came home to everything taken care of. 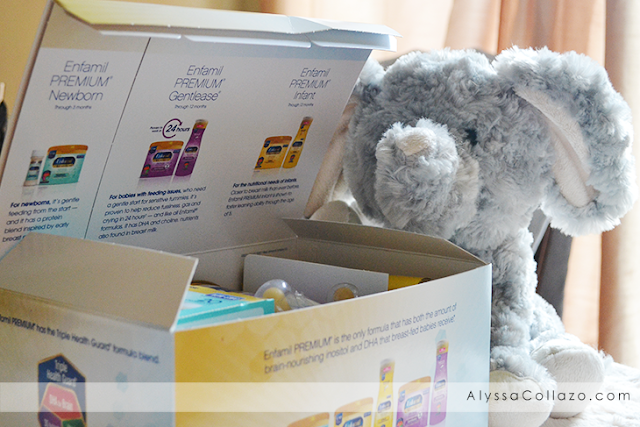 I was stocked up on diapers/wipes and clothes, my daughter was able to attend her dance recital/field trip and I am so thankful I decided to join Enfamil Family Beginnings®. I had trouble breastfeeding and no one mentions the scary things that come with it, like mastitis! I didn't have to run out and get formula. I simply opened my Welcome Kit and my baby was satisfied and back to her happy self *happy dance*! What's a tip that helped you prepare for a baby? The biggest tip I have for preparing for a baby is to make sure all your ducks are in a row. Even the small ducks. You will be thankful for it when your baby arrives. This is something that every mom to be should read. Bringing home your baby is such a magical time, but if you aren't prepared, it's also incredibly stressful. I can only imagine all the planning you need to do for a new arrival. This sounds like a great post for those who are trying to get everything ready. Babies are blessing and I know it is not easy to prepare for a new baby. This is such a helpful post for new moms. My tip that helped me prepare for each baby is to have all the baby clothes washed and folded. Also, I tried to find diapers on sale while I was pregnant so I would have a good stockpile. This is a great post for those that are new moms. There is so much to look out for and get prepared for. Not sure I have any tips, but to just prepare everything and be ready. There is so much to do when planning for a baby. I never did get formula from the store because I knew that I was going to breastfeed. However, I did take home the samples from the hospital just in case. It's always hard to plan for a baby. With each one comes its own challenges. That's a wonderful thing for Enfamil to provide. I know how stressful it can be with a new baby and figuring out a plan b. The biggest thing that helped me prepare for a baby was just the basics. If I had all the basics, pretty much anything from there was easy to cover. We made sure to be stocked up with supplies before the baby arrived! Don't know how people can just wing it and plan to pick things up in the midst of everything else that is going on around a new arrival to the family. Glad you had a great birth. And these are great tips. I stocked up too. It's very important. Awe what a beautiful post, I can only imagine how much there is to think about! WoW! Planning for a baby is so much easier now then when my bundles of joy came along. I know the feeding formula is very helpful. Not to mention the fact that now you can purchase disposable diapers. These are great tips for the mom to be. It is so helpful that you can have everything at your fingertips when you come home.